Established in 1852, Murrieta is one of the oldest and most respected bodegas in Rioja Alta. Their wines are concentrated and long-lived and some, like “Castillo Ygay”, have become legendary amongst wine-lovers. 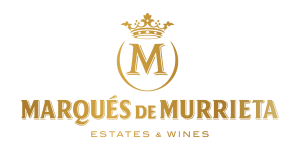 It has been over a decade since Marqués de Murrieta last produced a Rosé. During this time Maria Vargas, head winemaker, has been working tirelessly to produce a unique expression from the Ygay Estate and with the outstanding 2015 vintage she has found just that. This is the first Rosé to be released worldwide which is exclusively made from Mazuelo, marking a turning point for Spanish Rosé. Made exclusively from old vine Mazuelo from the best plots in the Ygay Estate. Right after reception in the cellar grapes are de-stemmed and grape juice is separated from grape skins and then fermented in a stainless steel tank at a controlled temperature of 10º C (50ºF) avoiding malolactic fermentation. After fermentation the wine is left in contact with its lees for 40 days adding density. Manual harvest in boxes: 29th September. Light pink colour full of life and elegant. Fruity and fresh with an amazing complexity.